Oh boy, you can see where this is going. 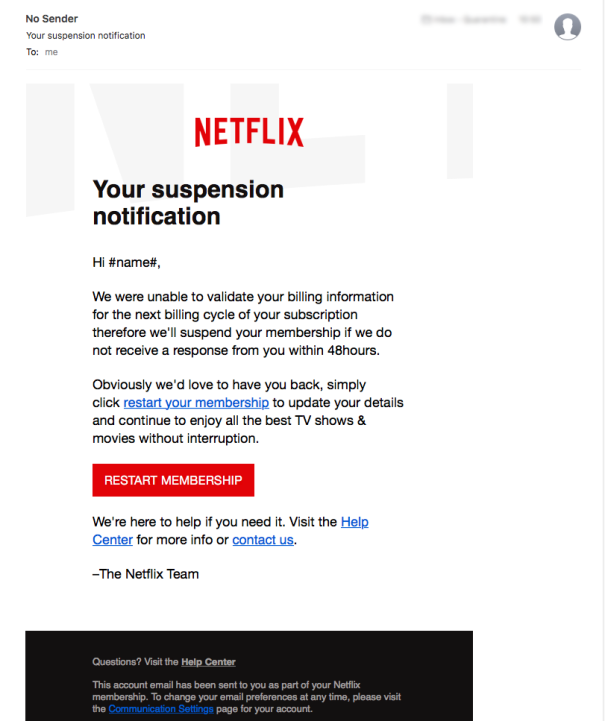 This fake email asks you to update your account information, and leads to a fake Netflix page, which asks for your log-in info and credit card number. The fraudulent website includes the Netflix logo and photos of popular Netflix shows to make it seem more real — and is targeting nearly 110 million Netflix subscribers, according to Deadline. If you get something that looks like the above in your inbox, send it straight to spam and don’t click on any links.